Hockey Plumber: Pittsburgh Penguins, Making Hockey's Off-Ice Big Time? 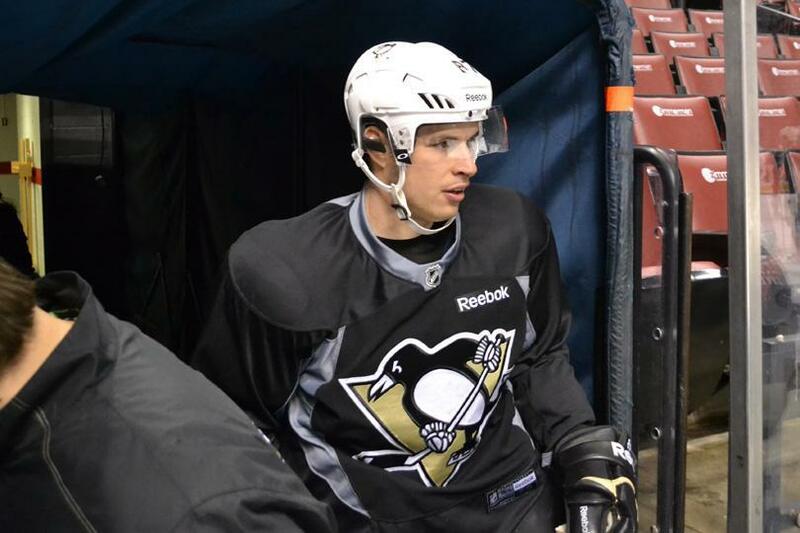 Pittsburgh Penguins, Making Hockey's Off-Ice Big Time? When it comes to the National Hockey League, there is no more storied, more accomplished, nor more passionately followed franchise than the Montreal Canadiens. The history, success and exposure the team enjoys brings attention, both good and bad. For every one of their twenty four Stanley Cup banners hanging in the rafters, there are multitudes of stories, conspiracy theories, and flat-out ridiculous rumors that float around Le Bleu-Blanc et Rouge. Particularly when the team is facing challenging circumstances, as evidenced by the wild controversy surrounding their choice of a non-French speaking interim coach, or Mike Cammalleri's comments and subsequent trade. By comparison, the Pittsburgh Penguins and their three Stanley Cup banners, have a long way to go before catching up with Les Canadiens' on-ice history. Yet, with the ever increasing media swirl that has surrounded captain Sidney Crosby's lingering concussion recovery, the Penguins may be gaining quickly on the Montreal media circus. Sure there has been plenty of attention, both local and national, paid to Crosby's injury status. Why shouldn't there be? He's the most recognizable figure in the game. With Crosby injury story lines drying up, a local writer found a new angle. It's preposterous to even type such a thing, but sadly -- and stupidly -- there are people accusing Crosby of skipping out on playing, both in the public and in the Penguins' locker room. Ray Shero actually felt the need to address it Thursday, saying, "This is a player that's not medically cleared to play." Let me take it further. How dare anyone question Crosby's desire, much less teammates who should know him best? ...The only thing more absurd than the notion that Crosby doesn't want to play hockey is that he's conspiring to get out of town. A few, certainly not all, of Crosby's teammates are of the mind that he's been symptom-free for a while, though they have no medical basis for that. Some think he should be playing. Some simply think he should be doing more to communicate, or at least be as visible as concussed defenseman Kris Letang. If you read the entire article, the writer suggests that Crosby is some kind of victim of dissension by his teammates; or as the cross town Pirates might put it: The crew be plottin' a mutiny o' the Captain, arrgh! So what makes this story worthy of Montreal-esque silliness? Unnamed sources for a secret players meeting, and a random, unspecified comment by the GM. Three sources report a meeting, another source... not so much. What? 3. The response of "the accused." The story, regardless of how silly, made it back to the locker room. The team all came out wearing “C”s on their sweaters to show solidarity with captain Sidney Crosby, who skated for the first time after the team’s practice on his own (well except Evgeni Malkin, who went with the Russian version "K" on his chest). 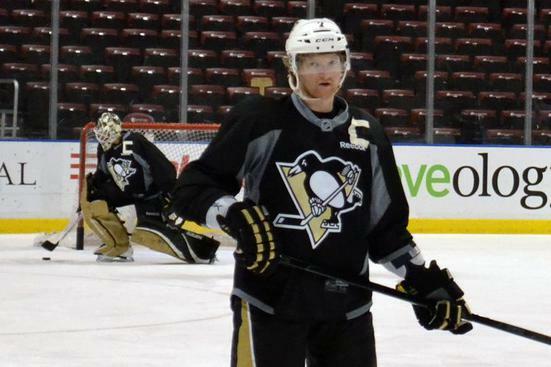 So the Pens responded to the article by showing that they are standing behind Crosby as their captain in perpetuity. “It was just to have fun and loosen it up,” defenseman Brooks Orpik said. “(Crosby’s place on the team) has never been in question, not in this room. People can speculate. If we are on a six-game winning streak it probably doesn’t come up. We can only control what goes on in here. The Penguins have won two straight after news of the dissension story. Perhaps the stir has inspired the team to chase down their next Cup in pursuit of Montreal's high mark... perhaps they were already motivated without it. Nevertheless, one thing is certain, they are gaining quickly on the Canadiens' stranglehold on media silliness! I don't know why it is a problem if everybody speaks english and they have their motive for choosing him. but we like to theorize and Host PPH community has some interesting posts.